Fork lift attachment manufactured from cast steel, designed to slide onto standard forklift blades. Metal turn screws lock the attachment in place. Steel hook with safety catch design to hold lifting hoops or straps in place. 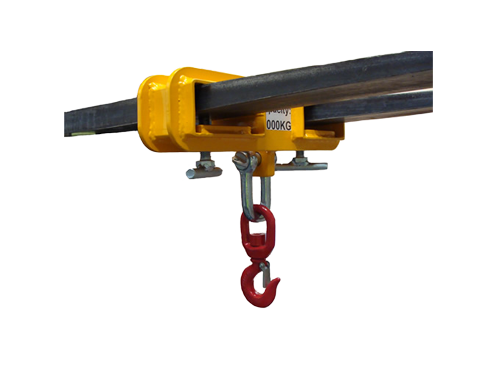 Maximum lifting capacity of 1000 kg (also available in heavy weight design to lift heavier loads, price on application).